Red Sox manager Alex Cora is speaking out one day after a fan hurled a beer at one of the duck boats during the parade. Boston Red Sox Manager Alex Cora and President of Baseball Operations Dave Dombrowski will hold their season-ending press conferences on Thursday, one day after the World Series winning team was celebrated with a duck boat parade. Both Cora and Dombrowski spoke Wednesday at Fenway Park prior to the parade, with Cora thanking fans for supporting the team during what he called a "historic season" in which they won a team-record 108 games during the regular season before beating the New York Yankees, Houston Astros and Los Angeles Dodgers in the playoffs. 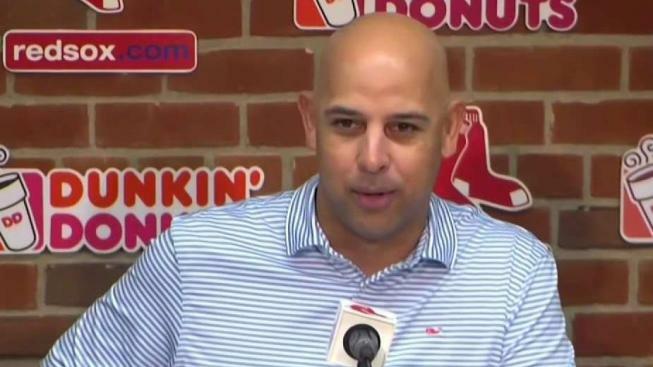 "I've been saying since Day One, this is crazy, this is madness," said Cora, adding that his players shared the same high expectations of Boston fans. "And that's why they are world champs." Hundreds of thousands of fans turned out Wednesday as duck boats ferried the Red Sox on a parade through city streets to mark the team's fourth World Series championship in the past 15 years. 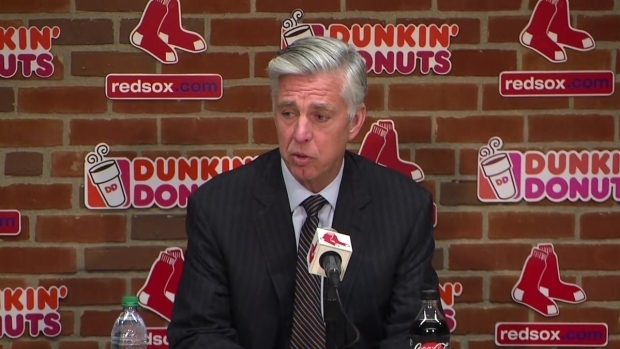 Boston Red Sox President of Baseball Operations Dave Dombrowski held a season-ending press conference on Thursday. Security was heavy for the parade, with no public drinking allowed. Uniformed police officers lined the route, and plainclothes officers mingled with the crowds. Roads wer closed and nearby parking limited. There were six parade-related arrests, including a man who allegedly threw a beer that hit Cora. Patrick Connolly, 19, of Sandwich, is charged with assault and battery by means of a dangerous weapon, being a minor in possession of liquor and disorderly conduct. Also appearing Thursday in Boston is World Series MVP Steve Pearce, who will shave his playoff beard in an event being held at Gillette's headquarters in Boston.